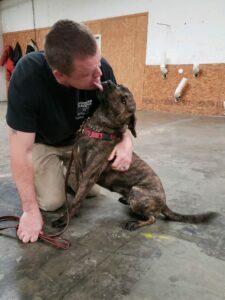 Tapestry, aka Tappie, is a beautiful Brindle that came to us from a shelter in North Carolina. 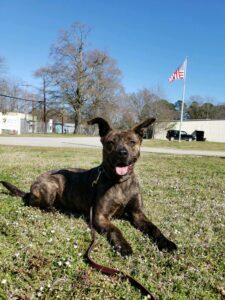 We believe she is a Mountain Cur/Catahoula/Terrier mix. 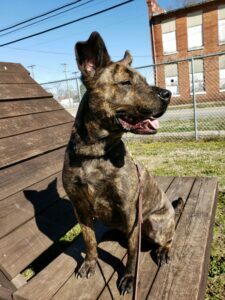 She weighs about 45 pounds and is believed to be about 3 years old. 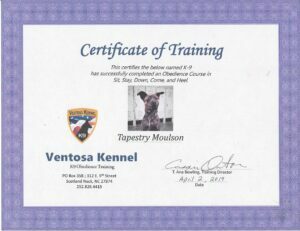 Tappie went to Ventosa Kennels in North Carolina to get some training and has earned her certificate. 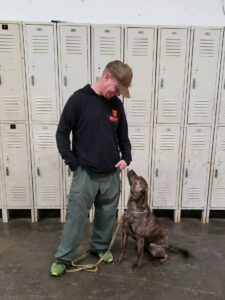 She is looking for a home with people that have energy like she does. She would make a great jogging or running partner. 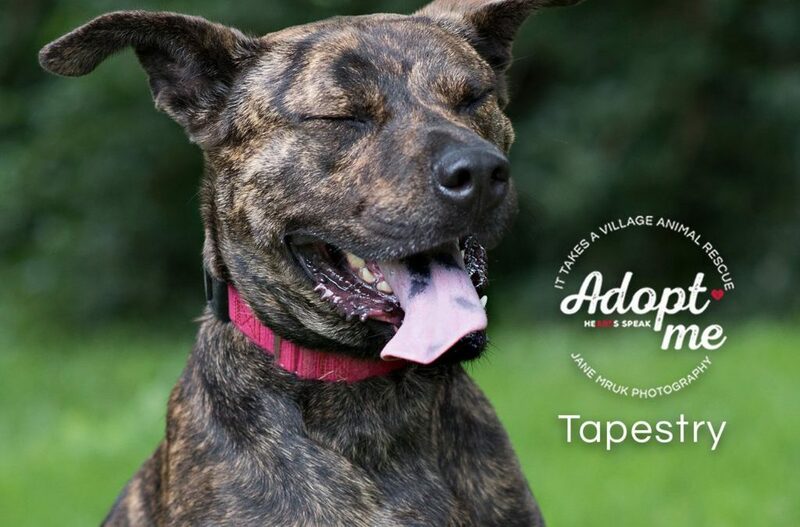 Tappie is crate trained, house trained and has learned “sit” and “down”. She does well on a leash, though daily practice is a must. Tappie loves her humans, big or small, though she is extremely picky on her dog playmates, this is why she would do best being the only dog in the house. Tapestry must have a fenced in yard because of all of her energy, so she needs a place to run to get out all of her energy. Tapestry is spayed, micro chipped and up to date on all of her vaccines. If you are interested in Tappie, please fill out our application.